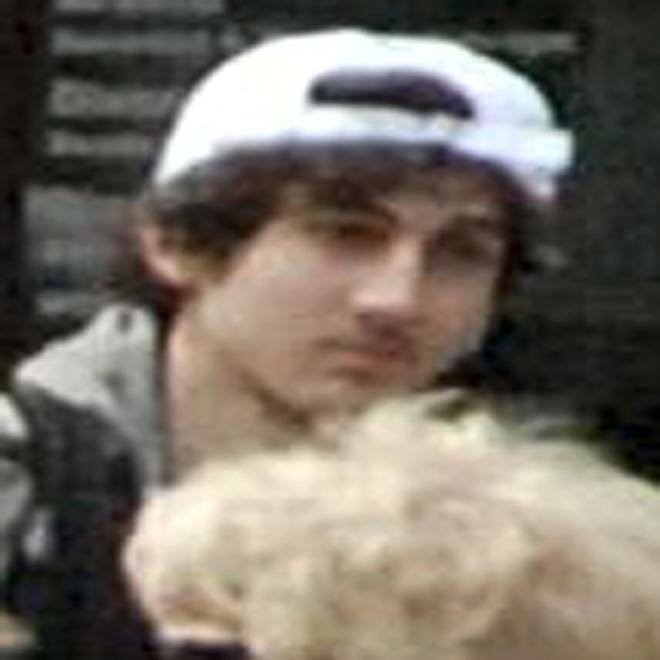 In this image released by the Federal Bureau of Investigation (FBI) on April 19, 2013, a suspect in the Boston Marathon bombing walks near the marathon finish line on April 15, 2013 in Boston. -- When Dzhokhar Tsarnaev and his brother Tamerlan allegedly carjacked an SUV on Thursday night, one of them pointed a gun at the driver and said, "Did you hear about the Boston explosion?...I did that." The gunman -- the complaint did not specify which suspect it was -- removed the magazine to the bullet inside, then put it back and said, "I'm serious." The gunman forced the victim to drive to another location and pick up a second man, the court papers say. The two of them then put a "low-grade explosive device" -- wrapped with green hobby fuse wire -- in the trunk and forced the car owner to hand over $45 and his ATM card. They were stopped at a gas station when the victim managed to escape. -- A search of Dzhokhar Tsarnaev's dorm room at the University of Massachusetts-Dartmouth over the weekend turned up a large pyrotechnic and a black jacket and white hat that matched the ones worn by "Suspect No. 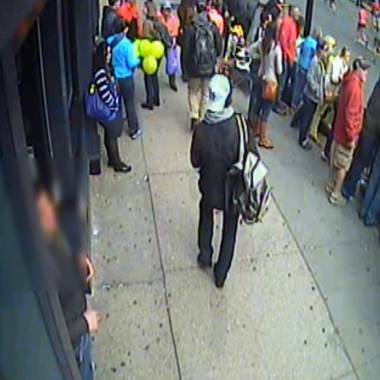 2" in surveillance video that showed him abandoning a knapsack at the site of the second marathon blast. 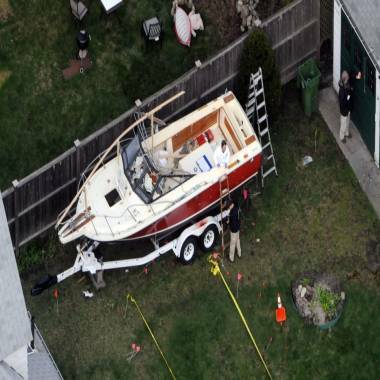 Police found Dzhokhar Tsarnaev hiding in this boat in a backyard in Watertown, Mass. -- The surveillance video collected by the FBI showed that for four minutes after he dropped the knapsack, the man in the white hat stood there, looking at and manipulating his cellphone. He appeared to make a call, and then 12 seconds later, the first bomb went off further down the street toward the finish line. As the crowd panicked, the suspect "appears calm," the complaint said. "He glances to the east and then calmly but rapidly begins moving to the west, away from the direction of the finish line. He walks away without his knapsack." Ten seconds later, the second blast went off. This FBI video shows Suspect No. 2 walking through the marathon crowd before the bombings. -- Dzhokhar Tsarnaev managed to escape a gunfight with police despite serious wounds. When police found him in a boat in Watertown, Mass., after a daylong manhunt and city-wide lockdown, he had been shot in the head, neck, legs and hands. It was unclear if any of the wounds were self-inflicted. The 19-year-old was taken to Beth Israel Deaconess Medical Center, where he was in serious condition and was hit with federal charges Monday.